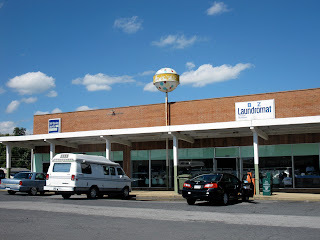 I had a Debra Jane Seltzer (the roadside architecture archaeologist/documentarian extraordinaire) moment while on a recent trip through Virginia. In desperate need of a public bathroom (curse you, Diet Coke! 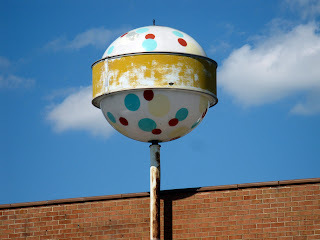 ), I was headed to the nearest Burger King in Waynesboro, when what did I spot but a "Norge ball," a rare vintage roadside delight. According to Debra, back in the '60s, Norge Village Cleaners was a nationwide chain of laundromats that used brightly polka-dotted globes as signage. 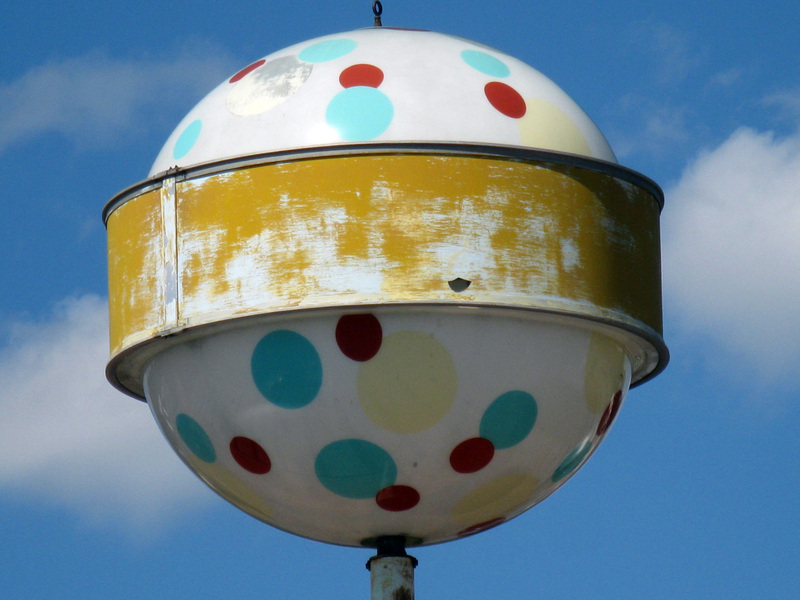 She says in 1967 there were 3,400 Norge locations and only 50 of the balls exist today, so spotting one, especially if you weren't expecting to like I was, is especially thrilling. 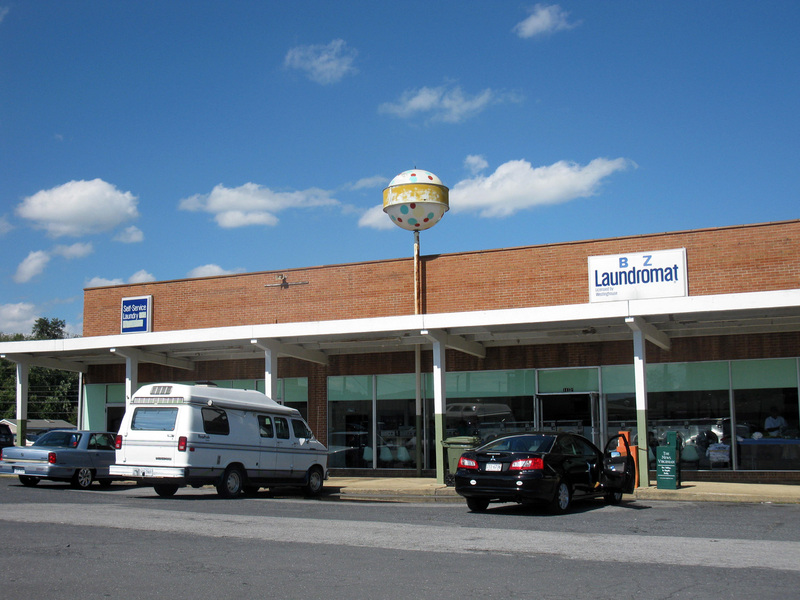 This one was especially nice, in decent shape for its age atop the B-Z Laundromat in a strip mall, and quite striking against a pretty blue sky. The only other Norge ball I've seen was in North Platte, Nebraska, and again it was by surprise. So the time I used up by having to hunt down a Burger King for the call of caffeinated nature was actually a plus because of the Norge ball photo op. You might say it was a wash.
A most excellent find ... a most excellent find indeed! Hi Debra, Thanks for the heads up. I looked on the site and couldn't find that particular puzzle, but my God, there are copyright violations all over the place and with bigger fish that little old me. How in the world did you find out in the first place? Did he use your photos too? Nice to know you've got my back, though!